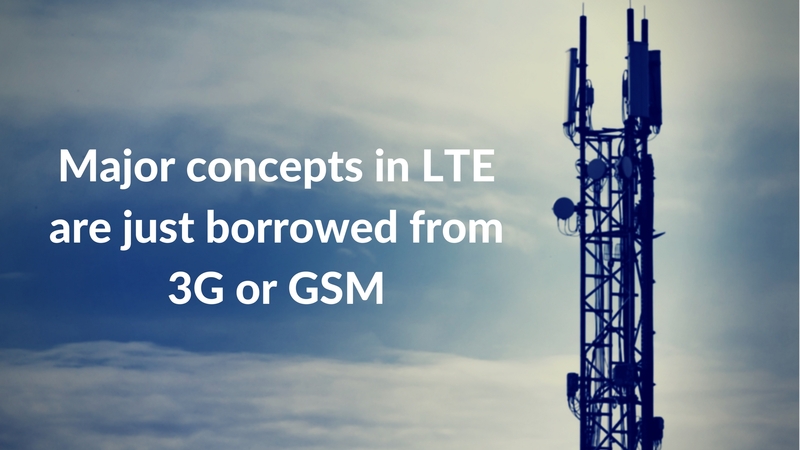 How we are using concepts of 3G and GSM to invalidate 4G LTE Patents? Of late, we have been performing a lot of invalidation searches on patents of 4G LTE. And I noticed a weird pattern – call it insight if you would like to – that I didn’t discover earlier while working on patents of 4G. The technique that I used in this patent prior art search for formulating search logics was building and evaluating technology timeline (or rather in this case telecom standard timeline). Shikhar has earlier explained the benefit of the methodology, with an example, here: How technology timeline helps in finding hidden prior art? It was wonderful to discover that a concept in LTE which became public knowledge through a patent in 2006 was thought about 5 years earlier. This is a strange thing considering the ever-evolving nature of telecom domain. Also, ultimately we figured that the patent was a mere collection of bits and pieces of thoughts scattered in discussions while two telecom standards got developed. Connecting them was difficult, I admit. But, every time I get involved in a search where I chase a technology via alleyways of time and connect hundreds of dots, the adrenaline rush I feel, I can’t literally explain in words. It becomes enlightening- And that is a very beautiful feeling. And know what is more beautiful- Discovering connections that you didn’t know exist. 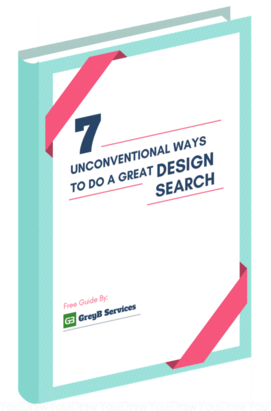 Featured Resource: Similar to the article, in another guide, we’ve compiled seven unconventional yet actionable design patent search strategies which will help you find success in your next search assignment. How Technology Timeline Uncovered Dust of Time from Some Dots? In the search, I found that many of the concepts we were trying to locate in LTE were borrowed from UMTS/UTRAN and even GSM. Imagine my surprise when I found that the concept of the timing alignment command during RACH process, identification of MME inside MME pool, carrier aggregation were way older than we had thought. It helped us uncover some pretty stealthy prior-art which would have remained hidden otherwise. Now, for the experienced ones out there, this information might not be something new, yet for the ones who need proof, here is one elaborate and concrete proof. MME pool is a concept introduced in LTE, especially in the context of S1-Flex. It refers to a distinct set of MMEs which serve a particular area which is called MME pool area. MME pool areas are usually made up of a number of Tracking Areas (TAs) served by eNodeBs (all these things are configured by the operator). Quite apparently, such pool areas are larger than an area served by a single MME, resulting in fewer Inter-MME Tracking Area Update (TAU) procedure and reduced signaling to other core network elements such as Home subscriber server (HSS) and serving gateway (S-GW). Also, via S-flex mechanism the load is shared among the pooled MMEs, leading to load balancing. MMEs inside the pools are identified by MMEID which indicates both pool ID and the distinctive MME inside the pool. In 2008, 3GPP created Globally Unique Temporary UE Identity (GUTI) a part of which is GUMMEI that in turn contains MMEID. As far as we could trace back, the term ‘GUMMEI’ came into play in early 2008. Now, this was not solving our purpose (as we were looking for the required information pre-2006), so, we thought to check when the concept of MMEL pool, S1-Flex was introduced first, as it was very much interrelated with MME ID, Pool ID, etc. In the CN MME/SGSN can (as today) use the old Tracking Area Identity (pool identity) + Parts of the P-TMSI (NRI) to determine which MME/SGSN the UE context is stored in. In the LTE RAN the eNode B can (as in the RNC today) use part of the P-TMSI (NRI) to determine which MME in the MME pool that serves a given UE. This was the clue we needed to back-track it – we explored NRI/P-TMSI in the context of Iu-Flex mechanism and Core network (CN) pooling, and it was just amazing to see that it was first thought of in early 2001. This was quite a bummer. We did not expect this. It indeed came as a surprise that CN pooling and Iu-flex was first set in motion very early in TS 23.236 standard (section 3.5.5.4), developed by 3GPP SA Work Group 2. In their Dusseldorf meeting (16-20 April 2001), they designed the CN pooling and Iu-Flex concept. And Network Resource Identifier (NRI) was practically made equivalent to MMEID which is needed to identify the CN pool and the exact CN inside it. NRI was being used in RRC signaling to do exactly this sort of identification that we required. Afterward, NRI was embedded inside TMSI/P-TMSI and took a permanent place in TS 23.236. Not sure about you, but all this time I had no idea that prior art for LTE could be found in the domain of 3G or GSM. This discovery has helped me and my colleagues, time and again, to find great prior art when the validity of a 4G LTE patent was under question.